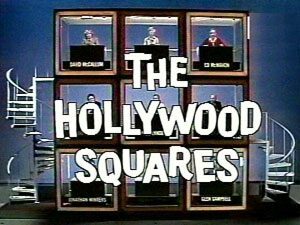 Home » News » Classic Hollywood Squares Could Be Coming to a Casino Near You! Who doesn’t love the American panel game show in which two contestants play Tic-tac-toe? Well now you can relive that nostalgic feel as Intermedia Touch celebrates the launch of a whole new way to win at casino drawings with this iconic game show spinoff, Classic Hollywood Squares. In this interactive, touch-screen casino promotion, players will answer a series of three questions, all giving two outcomes from famous 70’s sitcom clips. The more correct answers they receive, the bigger the prize payout. If they successfully answer all three questions correctly to make a tic-tac-toe, they win the grand prize. Carol Channing, Shadoe Stevens, and Paul Lynde may not be in this version, but your favorite 70’s sitcom stars will be! This is just another example of a creative promotion that has been produced by Intermedia Touch. Other popular casino promotions are $75,000 Strip Poker, Lucky Charms, Haunted House Game Show, Cyber Space, and Lucky U Lotto. Intermedia Touch is a front-runner in developing custom casino promotions with touch-screen video walls, kiosks, and hologlass displays. Whether a casino is looking to have a game designed from the ground up, or use an existing game with simple branding enhancements, Intermedia Touch is just the company to make that happen.